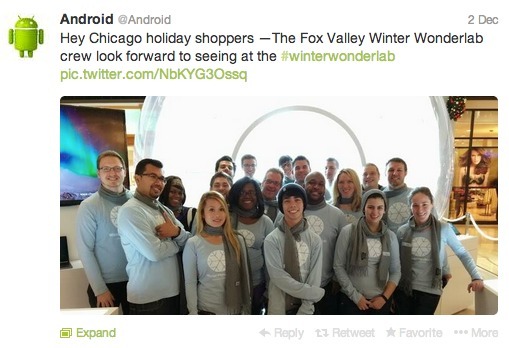 You’ve planned your tweets to promote your holiday marketing campaigns. You’re well and truly entrenched in seasonal promotions. But, why aren’t your messages getting the results you need? It’s not too late to increase your sales. 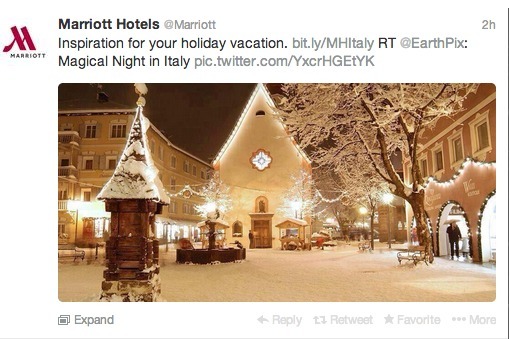 Here are 12 Twitter tips to give your holiday marketing the boost it deserves. Images have always been a big driver of engagement. Photos and videos deepen the connectionwith your Followers. They let you show - not tell - your product and brand story. Holiday shoppers are looking for deals. 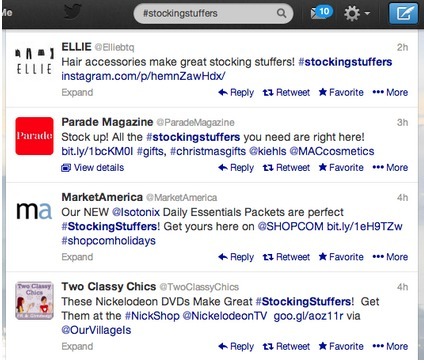 Drive people to your store by offering discounts and couponsto your Twitter Followers. It’s not too late to make a coupon campaign for your business. You can make a coupon app in about 5 minutes - and have it live to reach out to your customers for the shopping season. 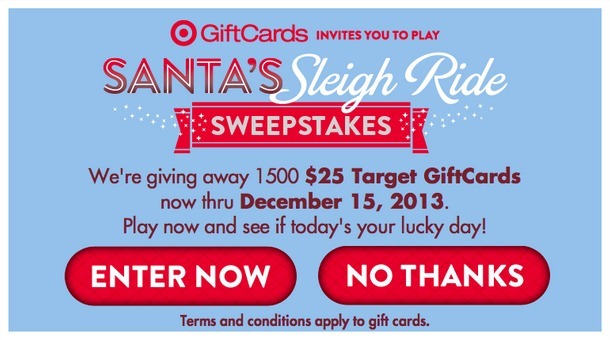 You can generate tons of participants by running multiple holiday contests - such as a “12 Days of Contests”. People will get to know your contests, and keeping coming back daily for more. ‘Tis the season for eating. Whether your customers are big on baking, entertaining at cocktail parties, or just thinking a lot about yummy food - recipes tweets can be a big hit this time of year. You can solve your customers’ lifestyle problems by showing them great recipes and entertaining tips. 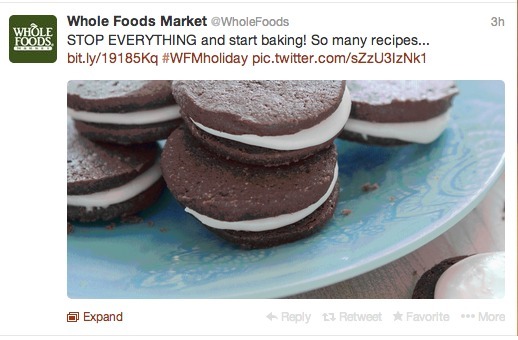 Use images in your updates, and tweet links to either your own blog with recipes - or someone else’s. Your Followers will appreciate that you’re thinking of their needs. New: Google now includes #’s in search! So, using seasonal hashtags can get your tweets found beyond Twitter. Use @mentions to connect directly with customers and partners. Use it respond to people who’ve tweeted to you, or used your brand or campaign hashtag. Use it to send out messages to people about your sales or events. When you start a tweet with “@mention”, your tweet only appears to the person you’ve sent it to, and on your timeline. It does not get shown to all of your Followers.
. @wishpond’s contest apps drove my holiday sales up 1,200% this year. Thank you! Connect with your Followers by showing the human side of your business. Show people that you can relate to them, and they’re more likely to relate to you - and buy from you too! Craft your holiday tweets in a personal tone. Use pronouns like “you” “me” and “us”. 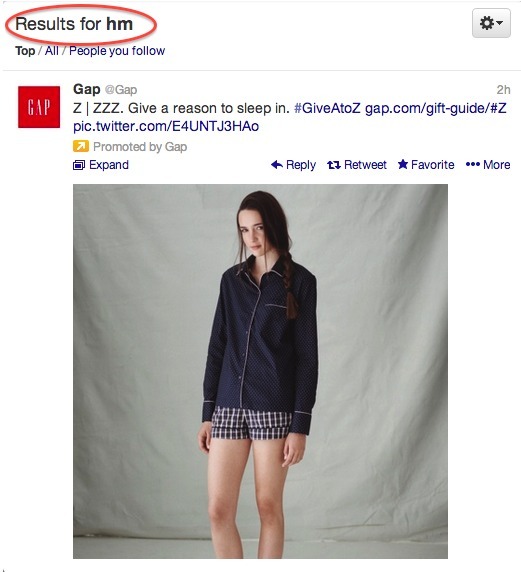 Spend some of your holiday ad budget on Twitter’s Promoted Tweets. If you’ve never used them yet, try them out this holiday season. They’re super highly targeted, and you only pay when people engage with your ads. 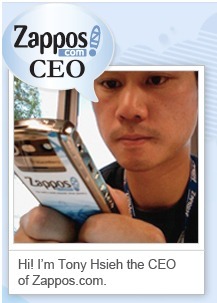 Oh, and it really helps your customer service image if you’ve got a CEO who’s willing to put their own presence on it. This is a classic on Twitter. Ask for a retweet by starting your tweets with “RT”. Use the method as a way to engage your Followers, by asking them a question, for example. 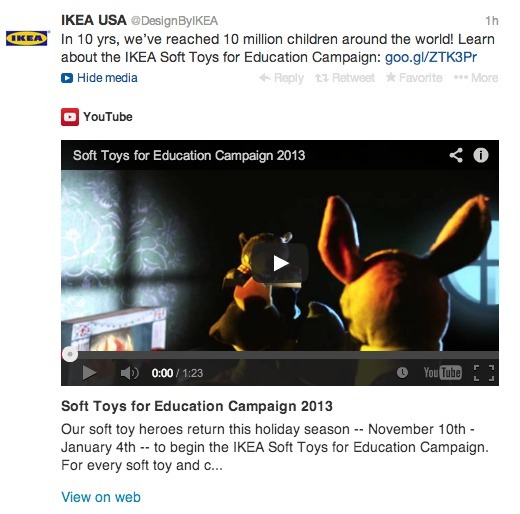 Include “RT” in your coupon, sale or contest campaigns to encourage more sharing of your store discounts. “RT”’s get an average of 12 times more engagement than tweets with no sharing ask. And hey, if you actually spell out “Retweet”, your messages get shared 23 times more! Always keep your customer in mind, too. Craft your message to explain how your product will solve a customer problem. And use a personal tone with “you”, “me” or “us”. Think of what you’d say to your customer if they were in-store. It’s not too late to up your Twitter marketing game. 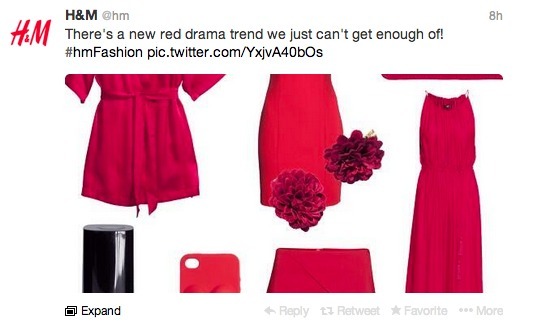 Act on these tips, and increase your Twitter generated sales this year!